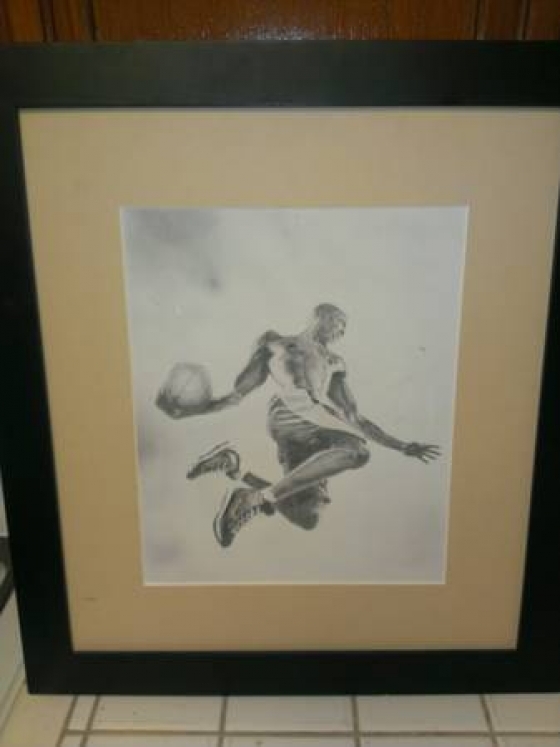 This is your chance to get a nice work of art that is framed and ready to be displayed in your home. 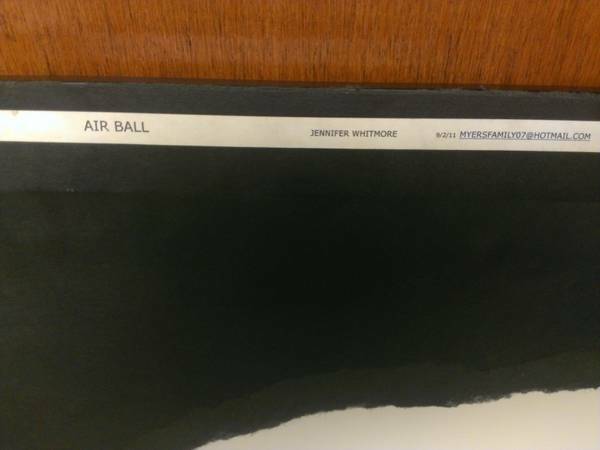 From an original by Jennifer Whittmore, This work is entitled Air Ball. This work measures 20\\\" x 18\\\". Scratches to area above left arm and set in frame. 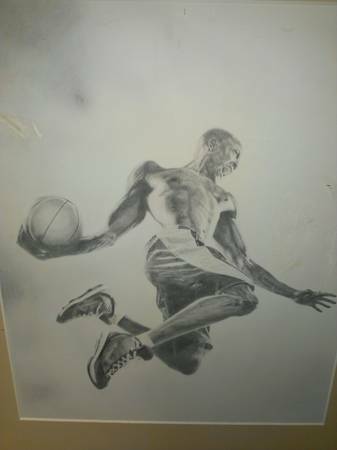 Air Ball is a graphite drawing done in approx 45 hours with B, 2b, 3b, 4b, 5b pencils. 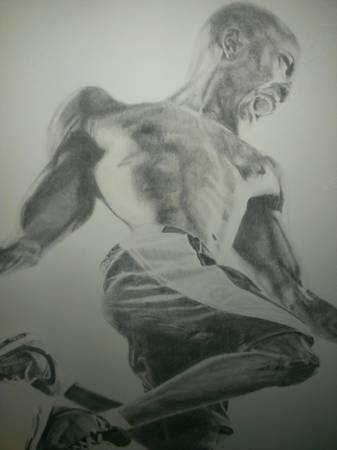 Print purchased by Warner Bros for use on TV series in September 2011.